How does a YouTuber make money? YouTube is nothing new but it remains incredibly popular. Throughout the world there are millions of experts and idiots alike making money from videos posted on the site but how do they make cash when users don’t pay for the content? You often read “experts” who make claims that you earn $1,000 per million clicks or just $5 per thousand views. The truth is that neither is correct. There’s no hard and fast rule on the amount of money you get per click because you’re not paid for each viewer. YouTube doesn’t pay out to the content provider, the advertisers who place their ads with YouTube pay out and they don’t work on a “price per view” model. For advertisers it’s all about engagement. They don’t just want people to view their ads, they want users to click on them and spend some time on the ad. The Adwords platform that manages advertising for the site is available to advertisers on a Cost Per Click or a Cost Per View basis, which we’ll go into more detail on below. The CPC model as you’d imagine pays out to the YouTuber when a user clicks on and their advert is displayed. This means that if a user goes into the ad several times, the advertiser is paid on each occasion. With CPV, advertisers only pay out when a viewer watches an advert for 30 seconds or more. If that user clicks the advert again and watches once, twice or millions of times more, the advertiser is paid no more cash so the YouTuber gets nothing more. 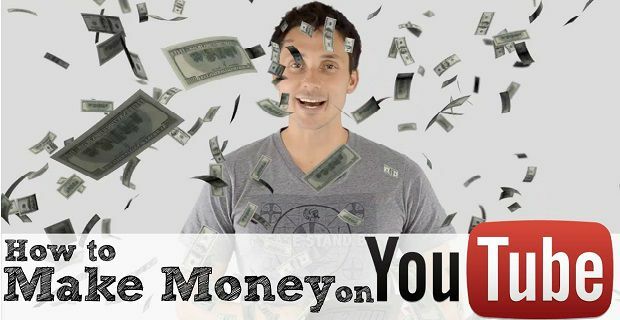 Now you know how they make money, check out this list of the highest earning YouTubers in the UK.